This municipality is named for Alvey Morden who settled here in 1874 and homesteaded on NW9-3-5W until his death. 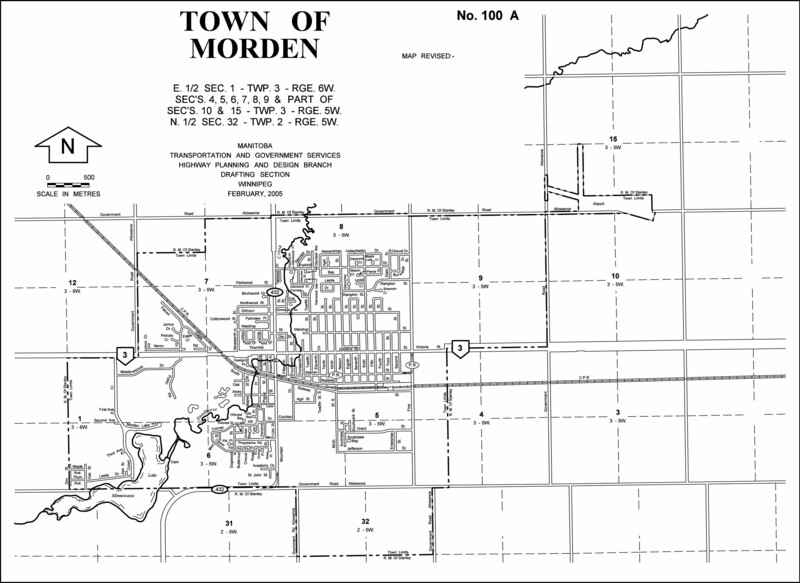 Morden developed from two towns nearby that preceded arrival of the Canadian Pacific Railway in 1882: Nelsonville to the northwest and Mountain City to the southwest. Go here for a list of historic sites in Morden. Go here for a list of history books for Morden. We thank Brian Nedohin for providing additional information used here.